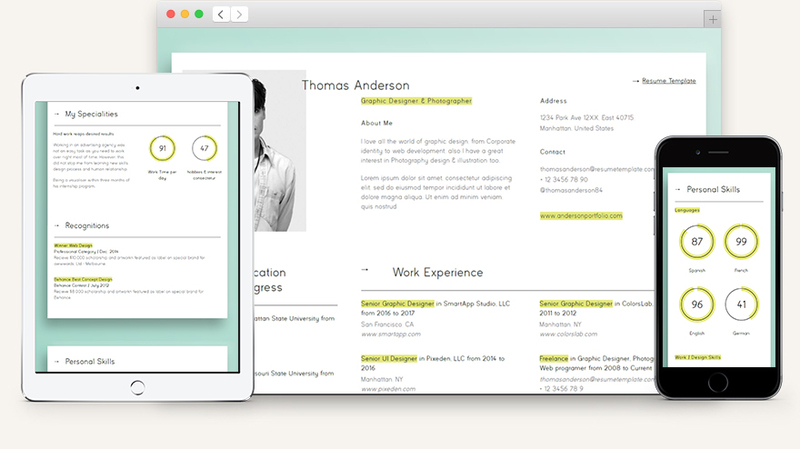 A classic web resume for professionals. This is the model 1 of our new responsive HTML web resume template series to showcase your details, education, work experiences and skills. The template includes two versions, one with a web style and another creative print style. We also added 5 different accent colors to let you pick your own. A fully responsive template made to look good on any devices. We used our advanced grid system to create a precise and flexible design. Dynamic charts and statistics with animations to make your resume memorable. Easily update with your content. Thorough documentation and clean code.